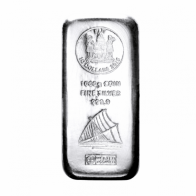 Each bar contains 1 kilogram of 99.9% fine investment grade silver bullion. These bars are available for VAT-free Swiss storage. 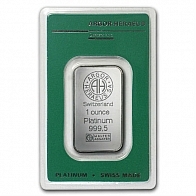 These bars feature the Argor Heraeus logo at the top, with the weight, fineness and serial number located beneath. 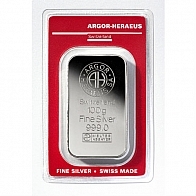 The Argor Heraeus series is available in gold, silver, platinum and palladium. This Argor Heraeus silver series is available in sizes from 1 Ounce to 1 Kilogram.